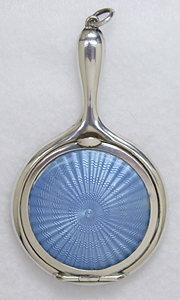 Guilloche blue enamel tops this antique sterling silver chatelaine flirtation mirror and powder. 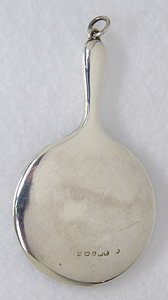 It is in pristine condition and is hallmarked. It is from around the turn of the 20th century. It measures 3 1/2" tall and 2” wide.